What’s yellow, sweet, and brings joy to consumers? Twinkies and Minions! 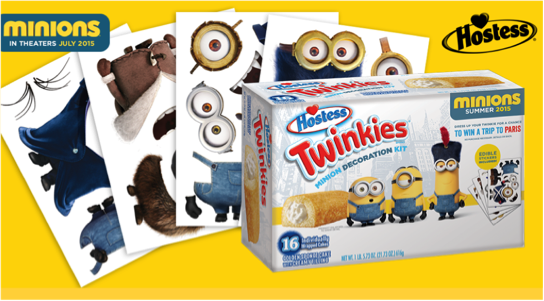 Hostess joined forces with Minions from Universal Pictures to create a summer partnership campaign unlike any other. They created an integrated partnership that reached all consumer touch points: packaging, displays, digital marketing, social media, and direct mail. Created 3 versions of the single serve Twinkies packaging, one for each of the 3 Minions stars.